The single-serving site's single serving. Letterbombing in action. Over 20,000 people checked out the project in its first two weeks. Special thanks to Andrew Tider and all the Letterbombers. 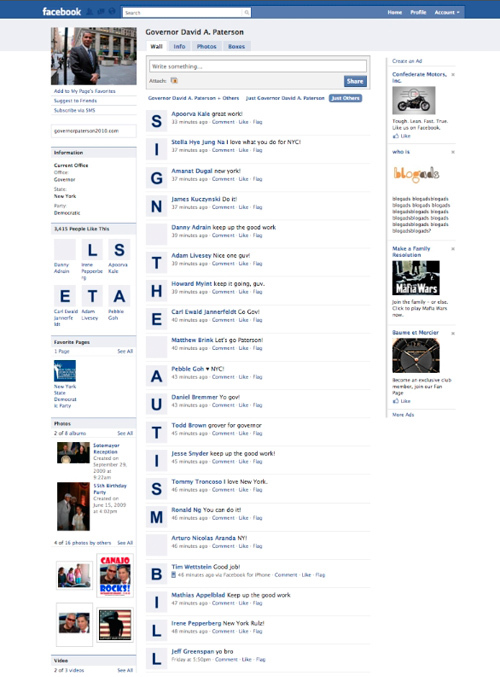 Letterbombers attack New York Governor Paterson’s Facebook page in support of an autism insurance reform bill. 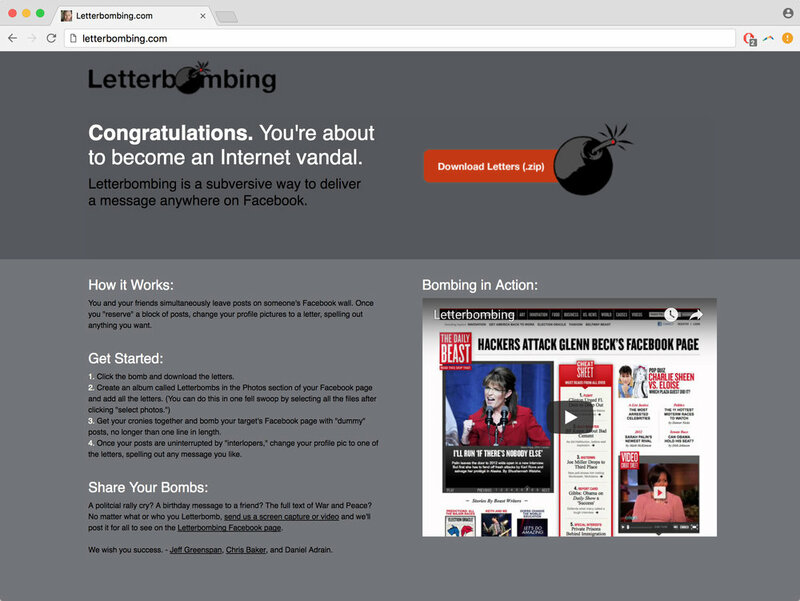 At letterbombing.com you could download your own letters and learn how to successfully bomb. Letterbombing – The Movie? Some Belgians took Letterbombing to new cinematic heights. (The Letterbombing kicks in around 2:25.) Well done guys. Though I’m not sure what the hell is going on here.